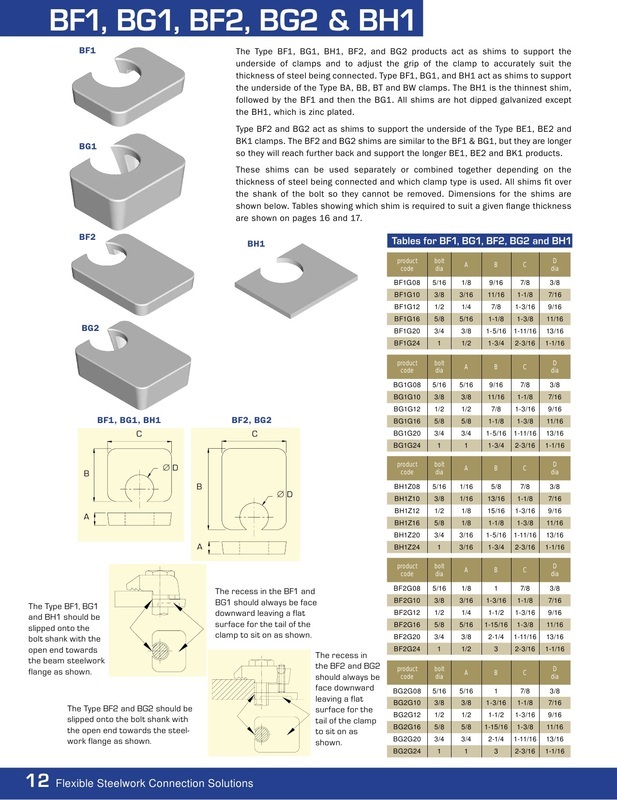 Our range of packing pieces is designed to provide support to the underside of our clamps to ensure they clamp on to the steel at the correct angle. 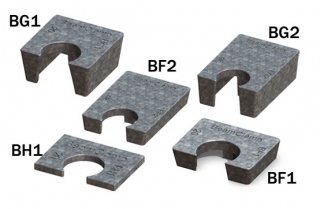 We have a series of short packers designed for the BA,BB, BT and BW clamps and a long series for the BE1, BE2 and BK1clamps that reach further back on to the supporting steel. 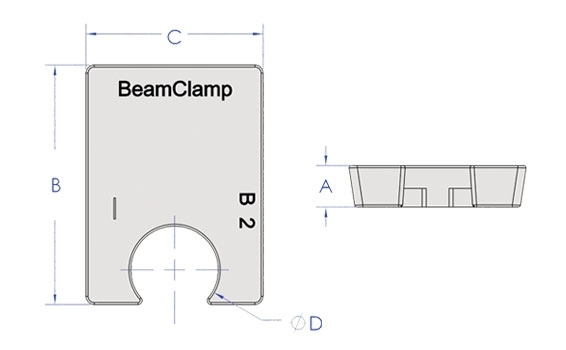 The packers can be used in combination with the clamping range of the clamp to ensure a correct connection. 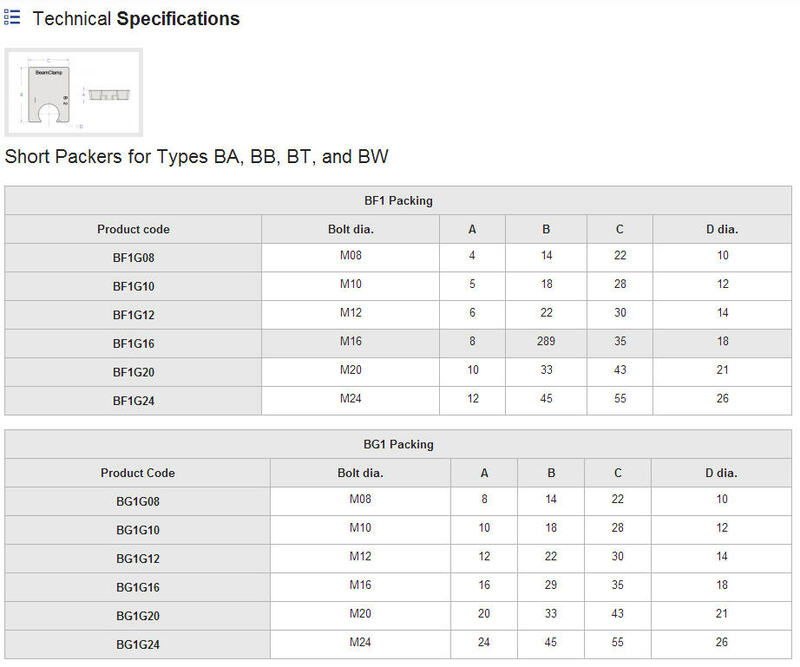 See our selection charts for the correct combinations for different steel thicknesses. ﻿What dimension is the thickness of the packing? 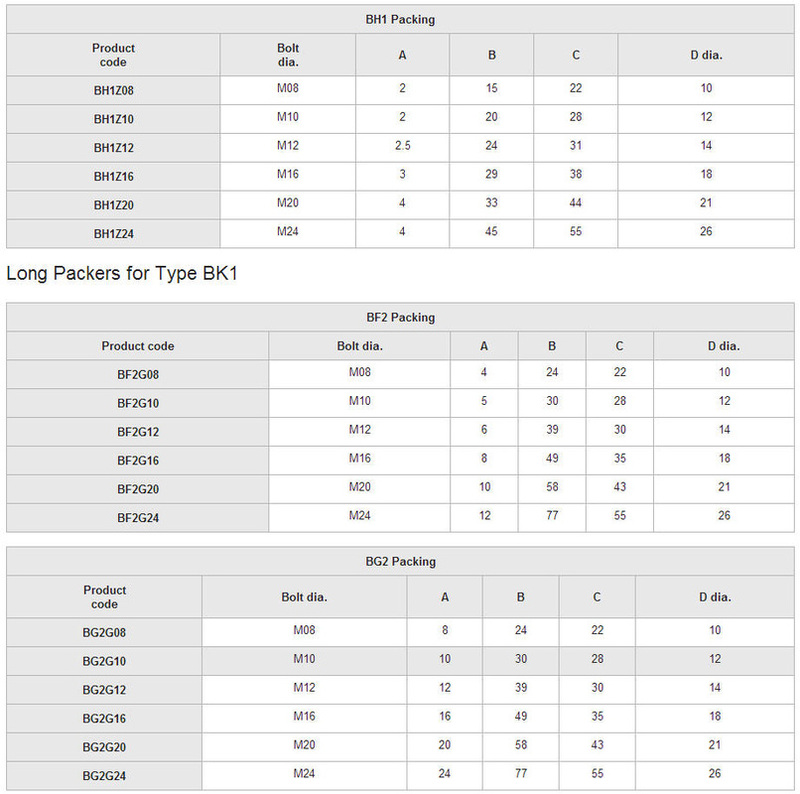 ﻿Answer: The thickness of the packing is always shown as dimension A on our technical tables. 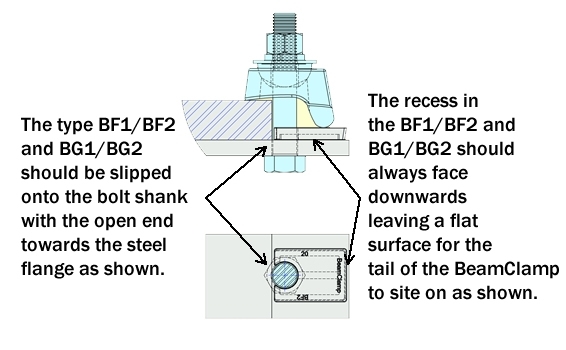 This should be used in combination with the tail length or clamping range of the clamp it is being used with.